What Areas of the Face Does a Facelift Improve? All about lip lines and how to get rid of them. What is the Liquid Rhinoplasty? 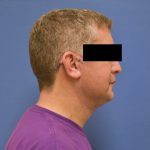 Liquid Rhinoplasty, the Non-Surgical Rhinoplasty Many patients ask what is a “non-surgical rhinoplasty”. This procedure is commonly performed in our practice to treat minor to moderate concerns of the nose. The benefit of the non-surgical rhinoplasty is the short downtime in the setting of a relatively painless procedure…. Non-surgical Rhinoplasty: Can I use fillers in my nose? Is It Possible To Get A Facelift Without Surgery? Q: I want to rejuvenate my face and look less tired. 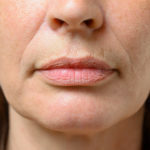 How can I tell if injectable fillers will help me or if I need to undergo a full facelift? In the last few years the public has been inundated with miraculous solutions to help ward off the aging process….